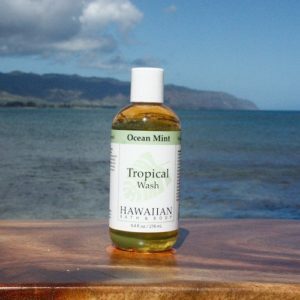 Cooler than an ocean breeze is exactly how you’ll feel with this invigorating body wash! Corn mint and Eucalyptus Essential oils are a perfect match for their antiseptic and cleansing properties, which are great for acne prone skin. These Essential oils help with your skin’s natural defenses. Refreshing and stimulating, this natural body wash is a morning must! 9.6 fl. oz.